On Thursday, a full day of surfing took place at Praia da Tiririca as twenty heats were run at the WSL Men’s QS 6000 Mahalo Surf Eco Festival. The action intensified as the top seeded surfers hit the water in Round 2. From here on out, every heat and every wave is crucial as the surfers battle it out for a spot in the Top 10 on the QS rankings and a ticket straight to the 2016 World Surf League Championship Tour. 19 surfers that are directly in reach of qualification competed on Thursday, but only ten advanced into Round 3. Kanoa Igarashi (USA) and Ryan Callinan (AUS) both won their heats and currently sit within the Top 10 on the QS. Other surfers to move ahead in competition were: Joan Duru (FRA), Even Geiselman (USA), Davey Cathels (AUS), Dion Atkinson (AUS), Soli Bailey (AUS), Jesse Mendes (BRA), Noe Mar McGonagle (CRI) and Ezekiel Lau (HAW). After earning several mid-range scoring rides, Callinan took control of the lead as he earned an 8.73 for the high score in Heat 4 of Round 2. Fellow countryman Soli Bailey (AUS) also found an excellent scoring ride of an 8.50 to advance in 2nd place over Patrick Gudauskas (USA) and Paul Cesar Distinguin (FRA). Callinan was asked about his thoughts on qualification and who he thinks will win the World Title. Kanoa Igarashi (USA) is currently in 6th on the QS ranking and is very close to adding his name to the list of CT surfers in 2016. Igarashi lived up to expectations as he took first place in Heat 9 of Round 2. Granger Larsen (HAW) advanced into Round 3 behind Igarashi in a close finish over Victor Bernardo (BRA) and Vicente Romero (ESP). The crowd at Praia da Tiririca started to buzz as current CT surfer Jadson Andre (BRA) made his way out to the line-up for Heat 12 of Round 2. Facing Andre were Jean da Silva (BRA), Ramzi Boukhiam (MAR) and Stuart Kennedy (AUS), who had just come off a Runner-Up finish at the QS 6000 event in Florianopolis. However, it was Boukhiam who demanded attention as he destroyed the 2-3 foot (1 meter) walls and obtained an 8.83 from the judges on his best scoring ride. Andre stayed active and was able to squeak past Kennedy by a tenth of a point to advance into the next round. In the following heat, another CT surfer, Ricardo Christie (NZL) ripped apart a lefthander with three huge backside blasts for the highest single wave score of the Mahalo Surf Eco Festival, a 9.17 (out of a possible 10 points). Christie added a 7.93 backup ride for the event’s highest heat total of 17.10. Joan Duru (FRA) earned two solid scores in the 7-point range (7.50 + 7.37) to advance into Round 3 alongside Christie over Willian Cardoso (BRA) and Cory Arrambide (USA). A call is set for 8 am local time to finish off the four remaining heats of Round 2 before moving on to Round 3. First up will be Michael Rodrigues (BRA), Cooper Chapman (AUS), Oney Anwar (IDN) and Ian Crane (USA). The Mahalo Surf Eco Festival is the most traditional event on the WSL South America calendar. 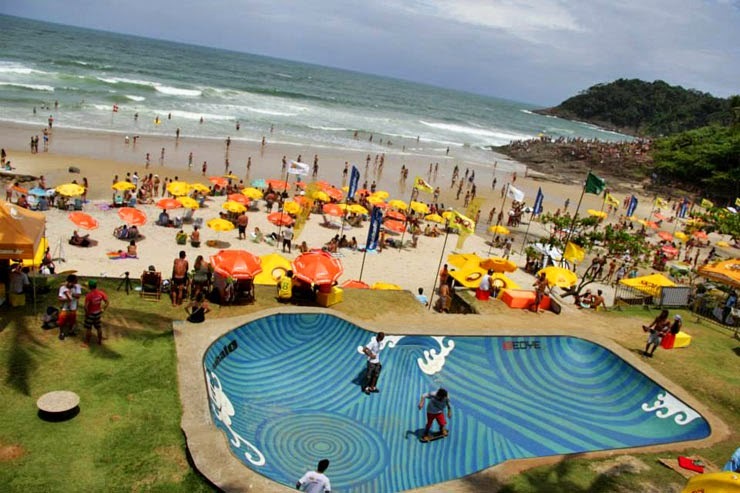 Eight previous editions have taken place in the state of Bahia; with events held at Praia do Forte and Salvador before making its way to Praia da Tiririca, in Itacaré. Now the event has reached a new level of importance by having its status raised from a 4-Star to a QS 6000 event. For the third year in a row, the city of Itacaré will attract a large number of international athletes vying for a substantial result and a chance to solidify their positions on the World Surf League Qualifying Series ranking before heading to Hawaii for the Triple Crown of Surfing. The Mahalo Surf Eco Festival will run from October 27th to November 1st and is the second of three consecutive QS events in Brazil. A total of U$150,000 in prize money will be distributed to a wide array of surfers from around the globe that will be competing at Praia da Tiririca. The Mahalo Surf Eco Festival, developed by Grupo Dendê Productions since 2008, combines a top-level surfing competition together with a music festival and a variety of environmental attractions. Due to its elevated status as a QS 6,000 event, it will be decisive as only the top-10 ranked athletes on the WSL Qualifying Series will achieve their long sought-after goal of making it onto the 2016 Samsung Galaxy Championship Tour (CT). The Mahalo Surf Eco Festival will be the last QS 6,000 event of the 2015 Surfing Season and Itacaré could possibly guarantee CT qualification for athletes currently on the QS. In addition to all the action in the water provided by some of the world’s elite athletes and exciting young up-and-comers, the event will focus on sustainability and a number of environmental endeavors all week long at Praia da Tiririca. As an added bonus, the weekend will exhilarate the crowds with a music festival composed of local and national musical acts. Since its inception in 2008, the Surf Eco Festival has always ended with a huge music festival. This year, it’s grown even larger with concerts running throughout the duration of the Mahalo Surf Eco Festival. The line-up includes: Baiana System, Ponto de Equilíbrio, Seu Jorge, Cidade Negra, Nando Reis and Legião Urbana. In addition, each day of the event will end with DJs performing at sunset. All performances and concerts are open to the public and will surely thrill the animated crowds in Itacaré. In respect to their view on sustainability, being ecologically correct and nature preservation, Dendê Productions pioneered the history of competitive surfing in 2014 by being the first surf event to use solar energy; reducing the ecological footprint of the Mahalo Surf Eco Festival. This positive impact will be repeated this year’s event at Praia da Tiririca in addition to complimentary lectures and activities based on environmental education. The first edition of the Surf Eco Festival was held in 2008 at Praia do Forte, Bahia and consisted of Men’s and Women’s 5-Star events, won respectively by current CT standouts, Adriano de Souza (BRA) and Silvana Lima (BRA). In 2009, the contest moved to the capital city of Salvador in Bahia. 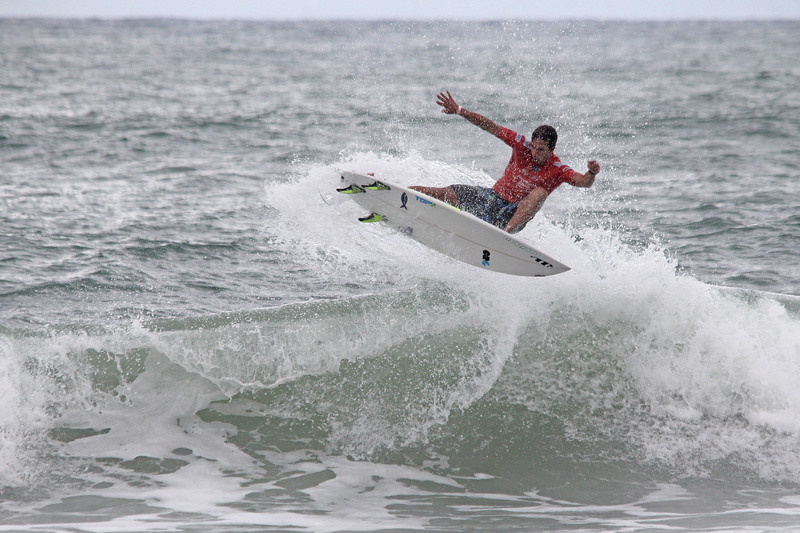 In addition to the Men’s and Women’s QS events, the contest also held the South America Men’s and Women’s Pro Junior Championships, also won by exceptional current CT surfers. Alejo Muniz (BRA) defeated Gabriel Medina (BRA) in the Pro Junior Final at Praia da Armação. The following year, Miguel Pupo (BRA) took out the title in the same location. 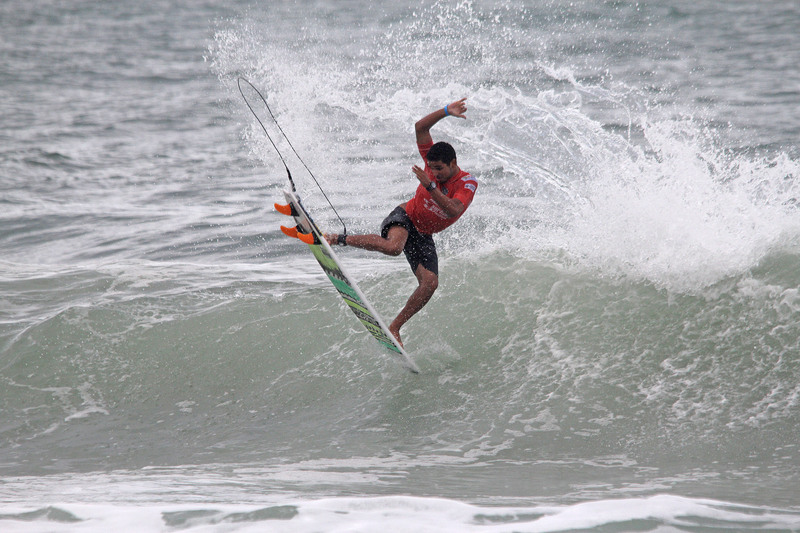 In 2011, Filipe Toledo (BRA) won the event at Praia de Jaguaribe, before changing locations to Itacaré in 2012. In Itacaré, the Mahalo surf wear company began sponsoring the Surf Eco Festival as a 4-Star QS event. In 2013, Halley Batista (BRA) won the contest. In 2014, Alex Ribeiro (BRA), who is currently ranked in the top-10 on the 2015 WSL QS rankings, won the event. Another familiar name to be successful at the Mahalo Surf Eco Festival is Tatiana Weston-Webb (HAW), who came in 1st place at last year’s event. The Mahalo Surf Eco Festival is brought to you by Dendê Productions and is sponsored by Mahalo, the City of Itacaré, Pousada Ecoporan, the Department of Tourism for the State of Bahia, TV Santa Cruz and Skol. The QS 6,000 Event is sanctioned by the WSL South America and will distribute U$150,000 in prize money and 6,000 points valid towards the WSL Qualifying Series rankings. Action on Day 3 of the ASP 4-Star Mahalo Surf Eco Festival presented by Skol intensified as the top seeds entered the competition for the Round of 64. Performances in the water displayed clutch execution, big-time maneuvers and several come-from-behind victories. Hot off of his ASP 6-Star victory at the Oceano Santa Catarina Pro in Florianopolis, Michael Rodrigues (BRA) continued to show an uncanny knack for finding the right waves and pulling off exciting finishes. He earned the highest single-wave score of the day with an 8.50. Michael Rodrigues earned the highest single-wave score of the day. Having roots in Brazil, Kiron Jabour (HAW) looked right at home in Itacare and continued to show off his high-velocity surfing. Bino Lopes winning his Round 3 heat. Bino Lopes (BRA) is the only local surfer who has ever won the Mahalo Surf Eco Festival. With his precision surfing, Lopes claimed the victory in his Round 3 heat over Erick Moraes (BRA) and Adrien Toyon (FRA). Yago Dora (BRA), who is part of the latest generation of Brazilian aerialists, qualified in second place.